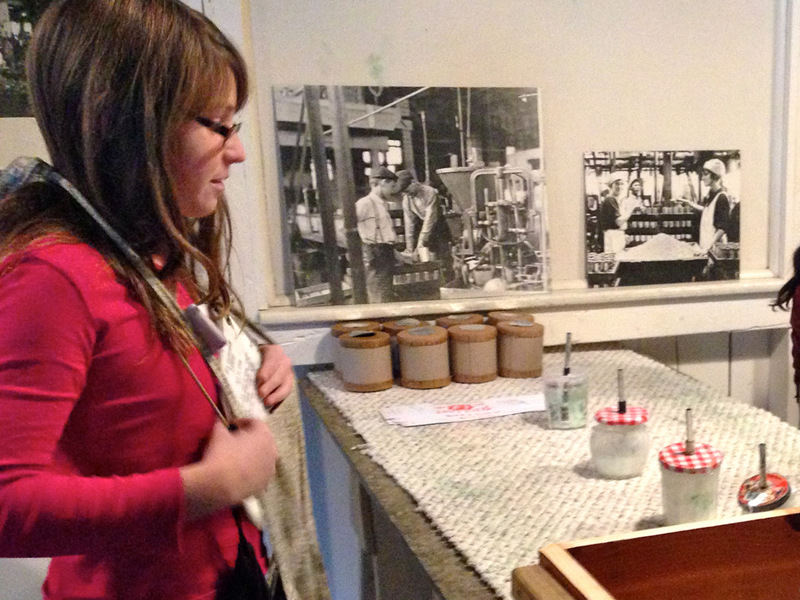 Are you looking for ways to help foster a more cohesive, friendly, and productive work environment? 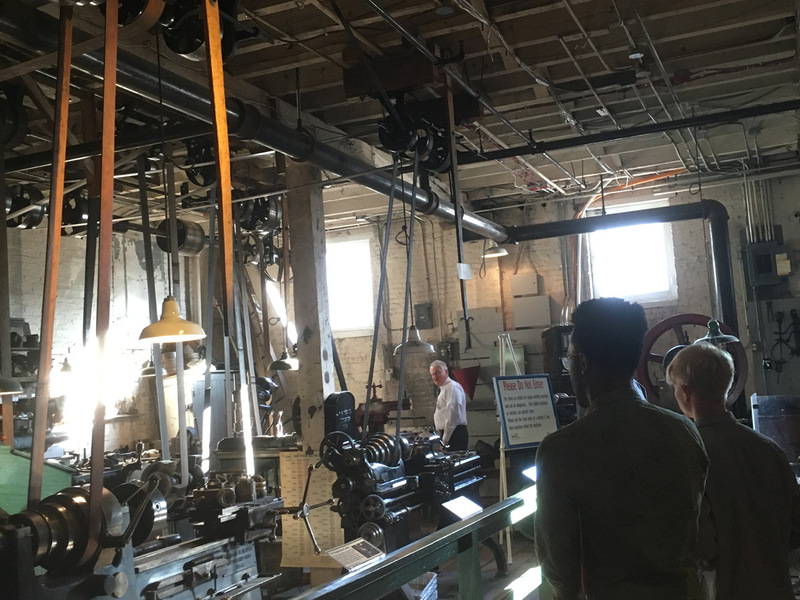 A team-building activity away from the office may be the answer, and the Baltimore Museum of Industry can provide a unique and unforgettable experience for your colleagues. 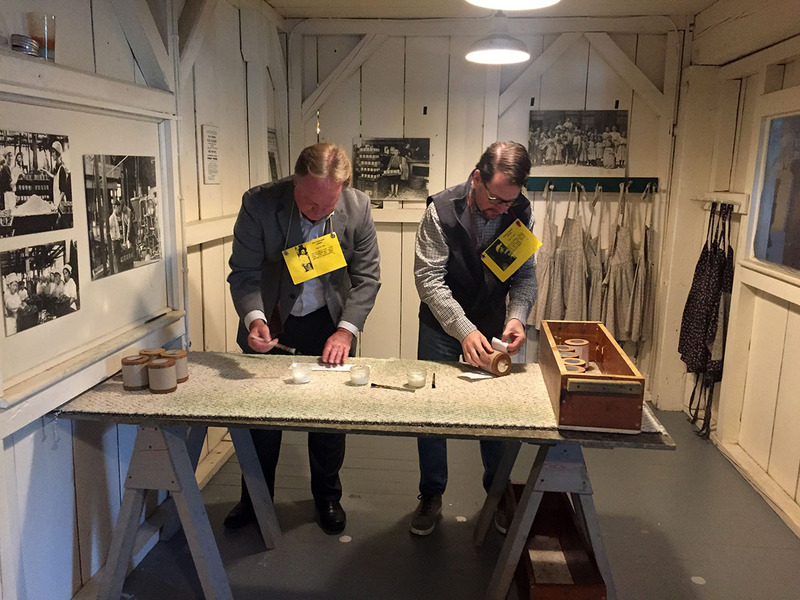 Located in an historic oyster cannery with stunning views of Baltimore’s Inner Harbor, the museum offers one-of-a-kind participatory team-building activities and distinctive tours and demonstrations. 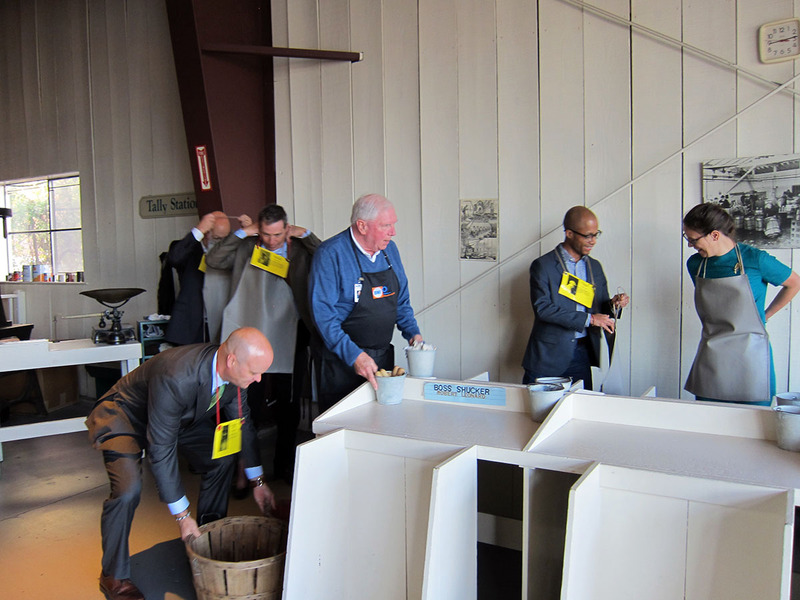 Stepping into Mr. Platt’s 1883 oyster cannery, your colleagues assume the roles of foremen, can-makers, printers, labelers, steamers, shuckers, and can-fillers. 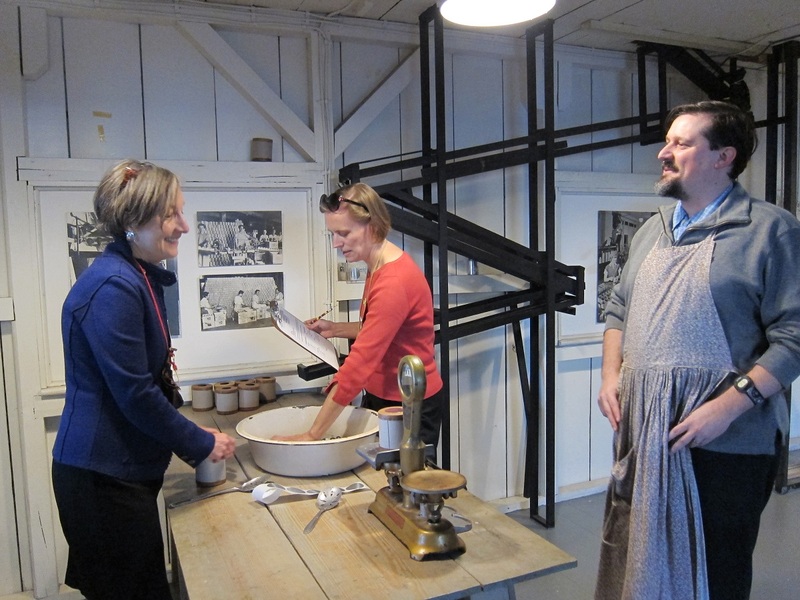 As they engage in this lively, fully immersive experience about the challenges and opportunities that nineteenth-century workers faced, they gain new insights into issues that still shape the work experience today. 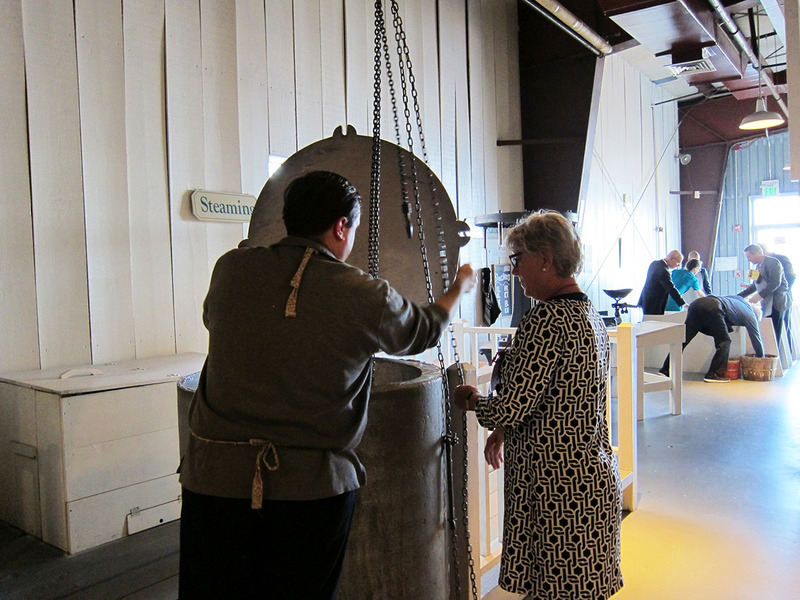 The Cannery accommodates up to 30 participants. 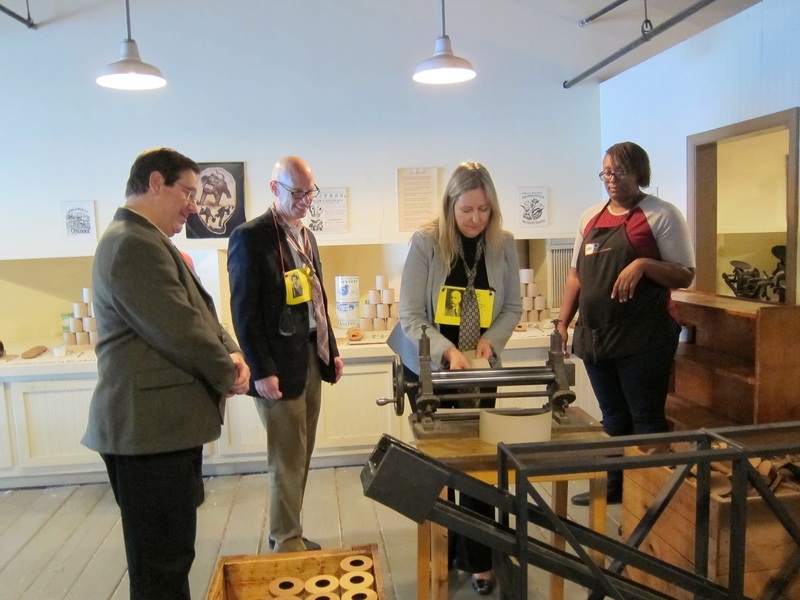 The museum comes alive for your colleagues as skilled Museum Educators demonstrate working museum artifacts such as our belt-driven machine shop, a vertical shear, and a printing press. 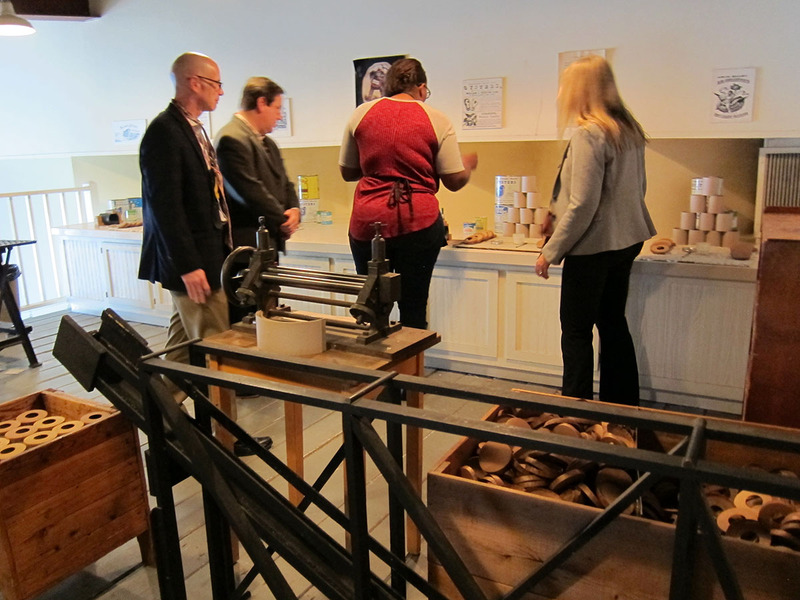 In the process, participants deepen their understanding of the ways that innovation, entrepreneurship, and technology have shaped Baltimore’s industrial history. 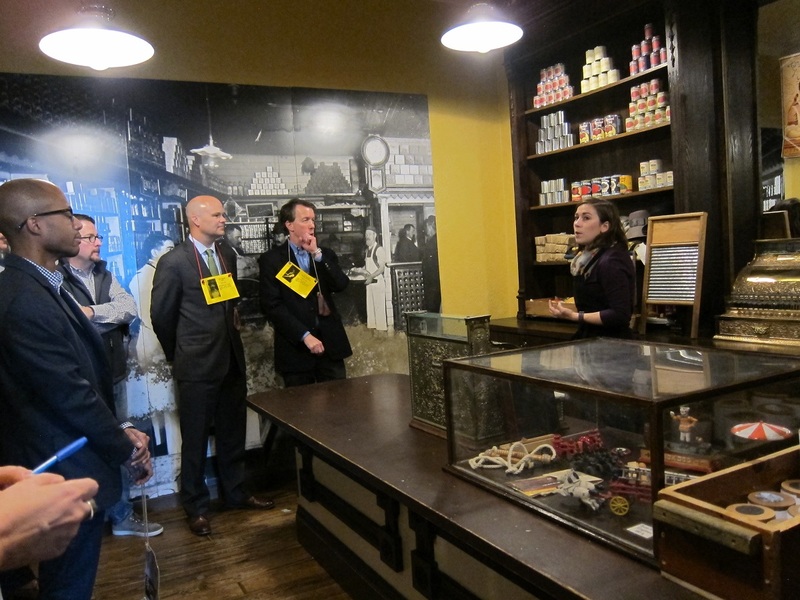 Each tour accommodates up to 30 participants. 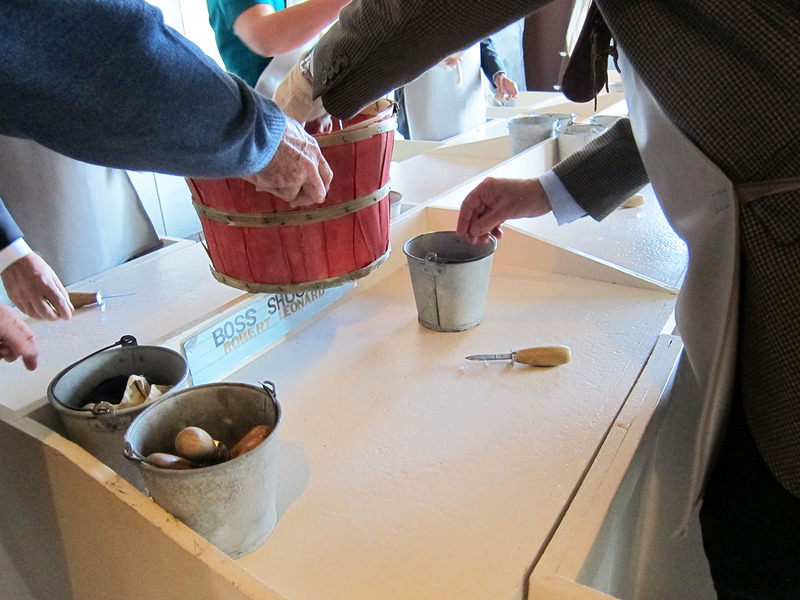 Larger groups may choose to schedule both a Cannery activity and a Tour, so the group can rotate through both. 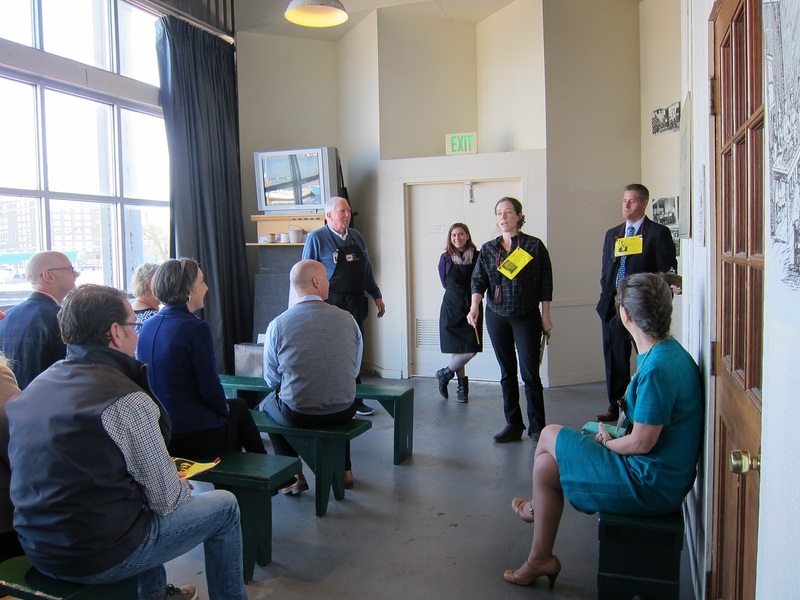 We are happy to provide space for breakfast or lunch for your group in the Decker Gallery, which offers vibrant exhibitions and commanding views of the harbor. Our list of caterers can be found here. 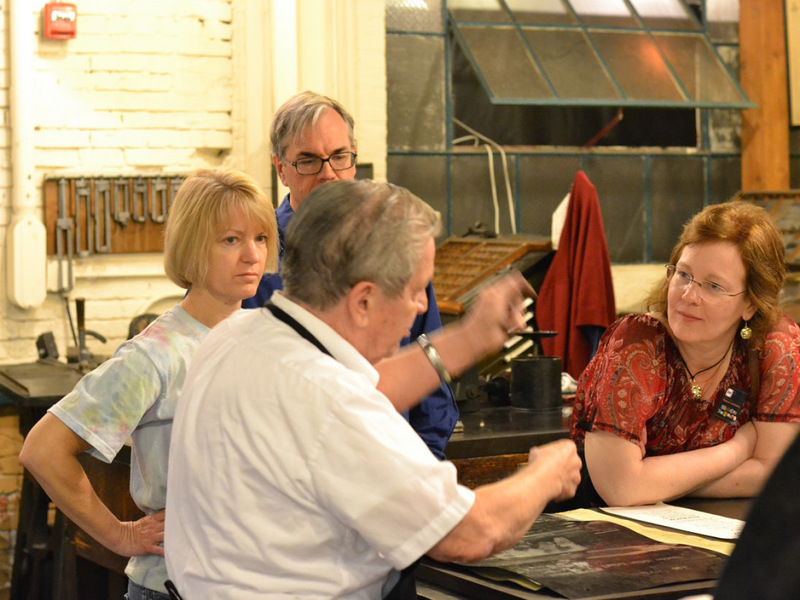 Contact us at tours@thebmi.org to reserve your space today!